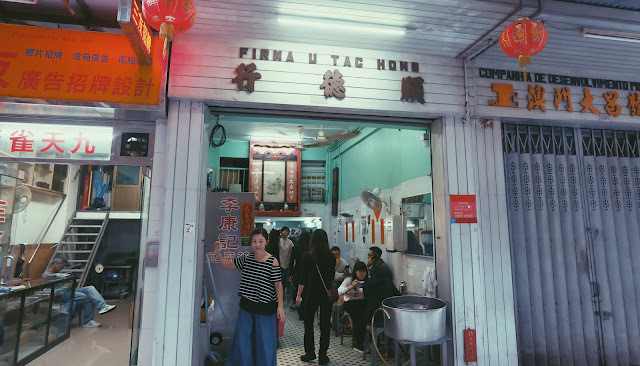 WHAT I ATE IN HONG KONG & MACAU - Eunice C.
Hong Kong, a place where you can observe the forest of modern skyscrapers and old-school buildings with iconic vintage signboards juxtapose with the luscious greenery and mountains with amazing hiking trails, beyond the urban skyline. 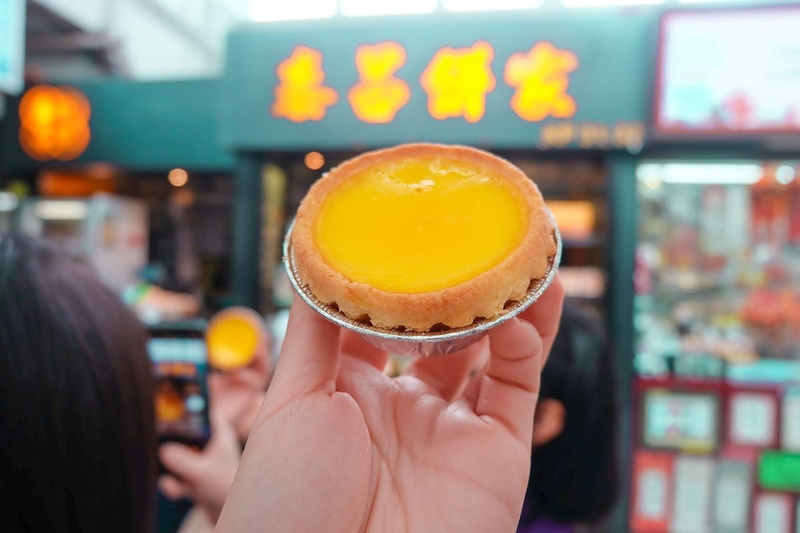 Hong Kong is an ideal place to visit for photography enthusiasts, nature lovers, as well as foodies! 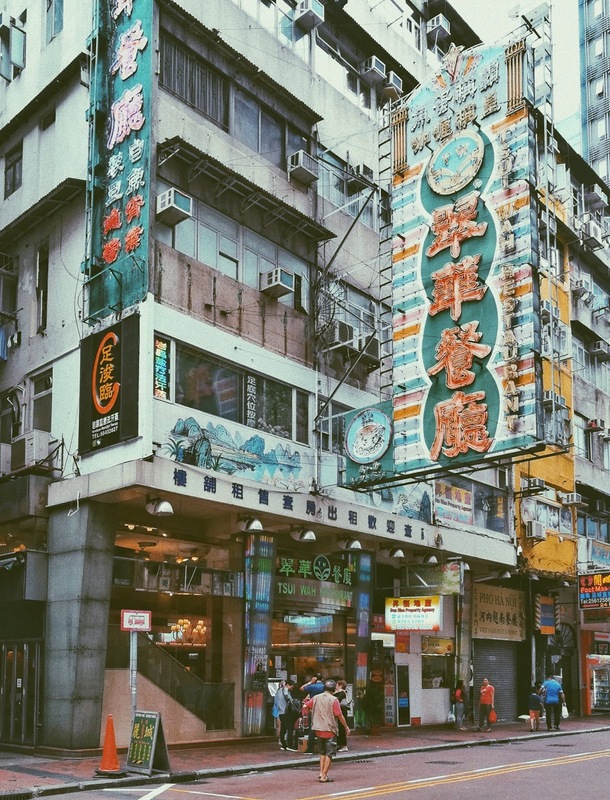 Hong Kong proudly boasts a variety of authentic Cantonese cuisine, and sometimes with a hint of British influence. 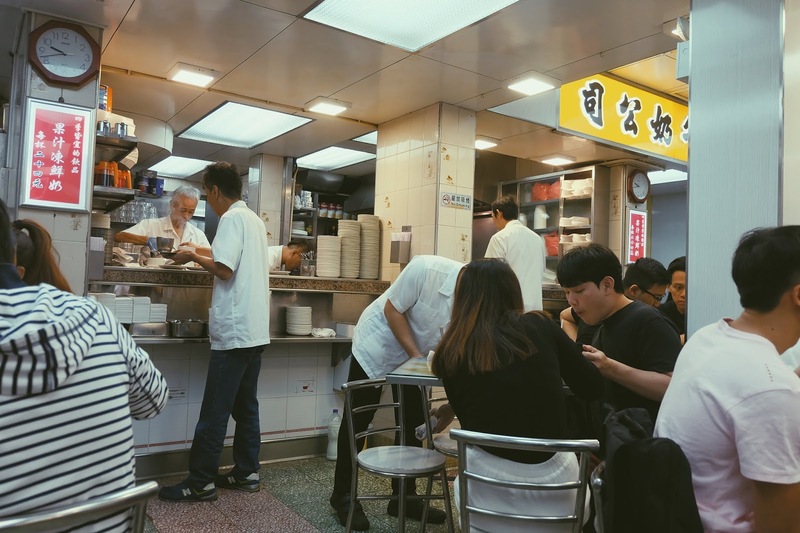 To explore the food scene like a local, you may begin by learning the terms, cha chaan tengs, dai pai dongs, and yum cha. 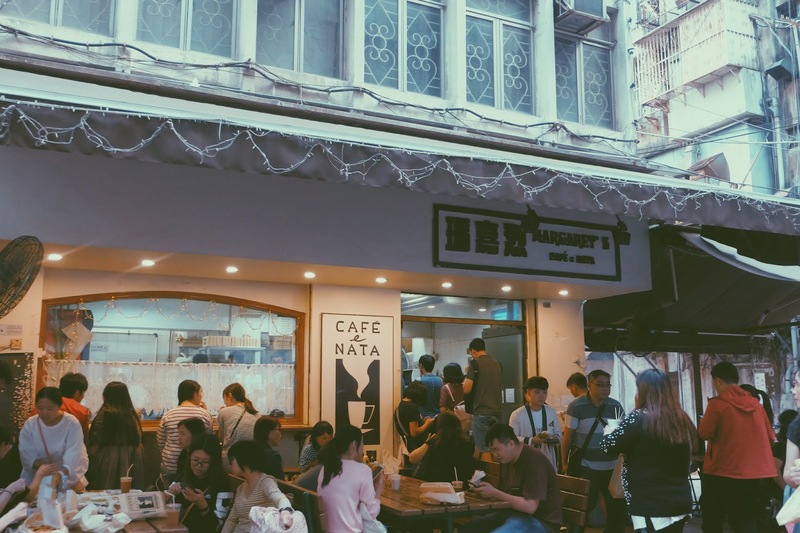 Cha Chaan Teng simply means Hong Kong styled café. Dai Pai Dong refers to any food stalls operating on the roadside with foldable tables with a “big licence”, as the name implies. Yum cha literally means “drink tea”, which means going to kopitiam if you’re in Malaysia. 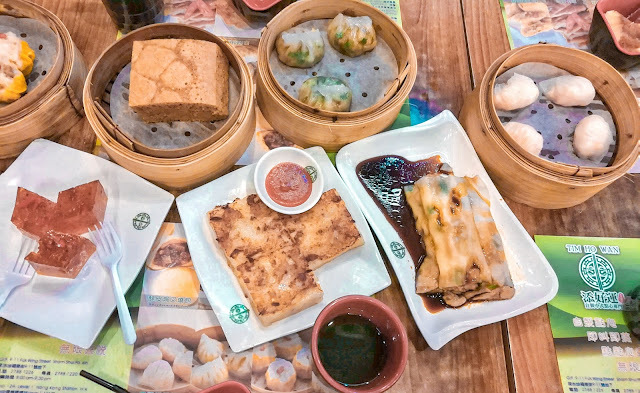 But in Hong Kong, yum cha means going for dim sum, where the meal involves both Chinese tea and dim sum (Traditional Cantonese brunch). Now that you have mastered the terms, you are ready for the ultimate Hong Kong food hunt! I will be documenting the food that we have tasted throughout our trip. Those we missed out a few iconic cuisines (well, we can’t get everything we want right? ), we covered many of the famous local food. Generally, the food in Hong Kong did not meet my expectations. Probably I raised the bar too high as the local food garner many good reviews from Chinese cuisine connoisseurs all the time. Nevertheless, I love their milk tea! There are many other food that I still prefer the local savoury Malaysian flavour. Hong Kong food is generally saltier for my taste buds. I have listed out the food we ate in Hong Kong & Macau, starting from my personal favourite. 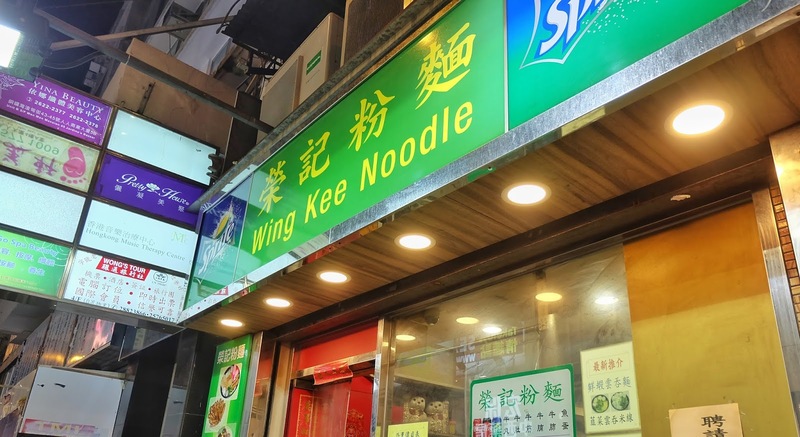 Sitting at the top of my favourite Hong Kong food list is Wing Kee’s cart noodles (車仔麵). 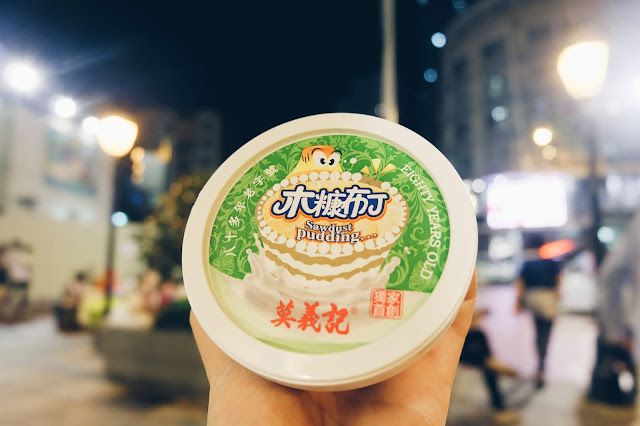 The name is familiar in TVB dramas and I always wonder how it tastes like. The name, cart noodles, is derived from street vendors who sell noodles using a cart back in the day. The amazing thing about cart noodles is you can customize the toppings according to your personal preferences. You may add more than 3 types of toppings too! 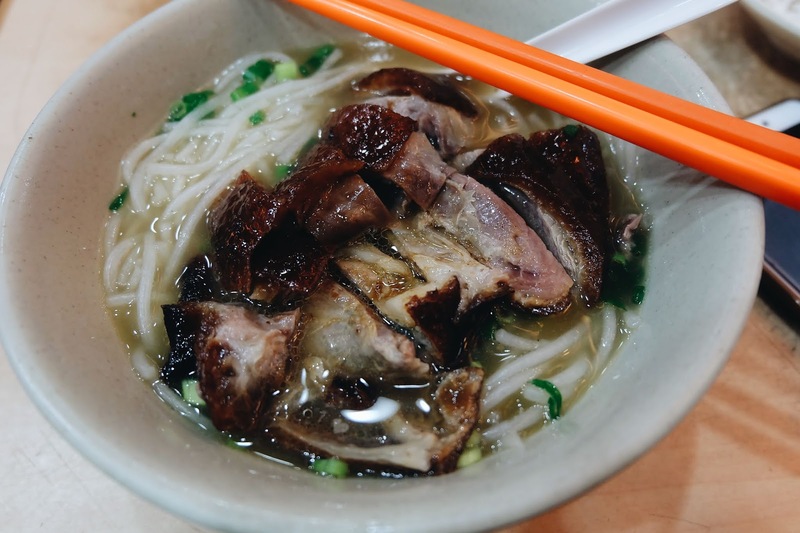 The toppings range from beef brisket, pork intestines, fish slices, and even wontons. You may select noodles of your choice too! 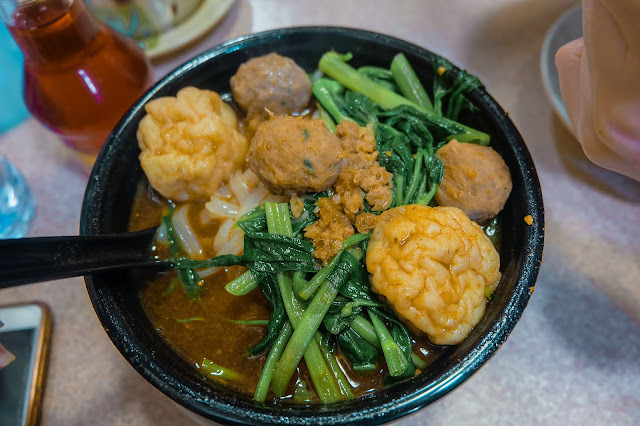 I chose the beef meatballs and traditional fish curd as the toppings with hor fun (flat noodle). 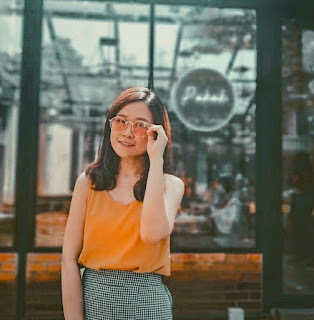 You may choose egg noodles, which is something that’s not common in Malaysia, but I prefer to stick to something comfortable. The broth was amazing. It had a very unique flavor that was so rich and I could not stop drinking it. It had a taste similar to beef, but I could not be sure. I give five stars for this! Price: HKD 35 for two toppings. Just a few shops away from Wing Kee across the street, you can see a long queue. 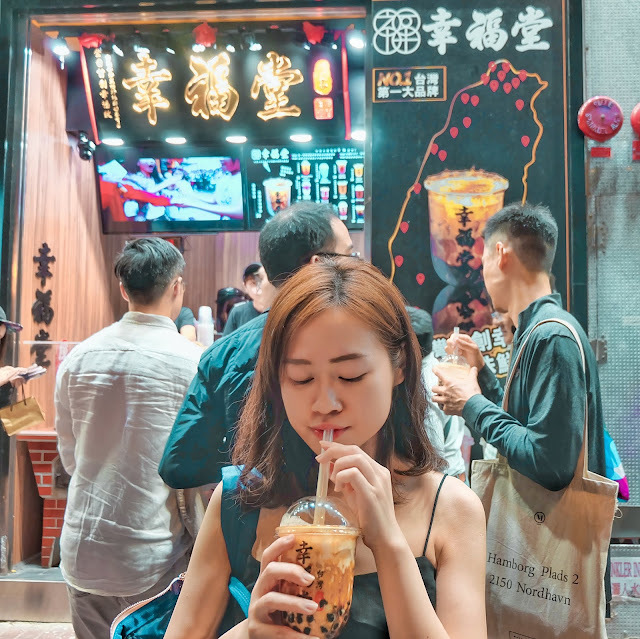 Before coming to Hong Kong, I watched a video about the boba tea craze in HK. They were not kidding about the queue! Three boba tea joints next to each other gave us a hard time to decide. Tiger Sugar and Happiness Boba Tea had the longest queue. Tiger Sugar will be coming to Malaysia, so that left us with Happiness. 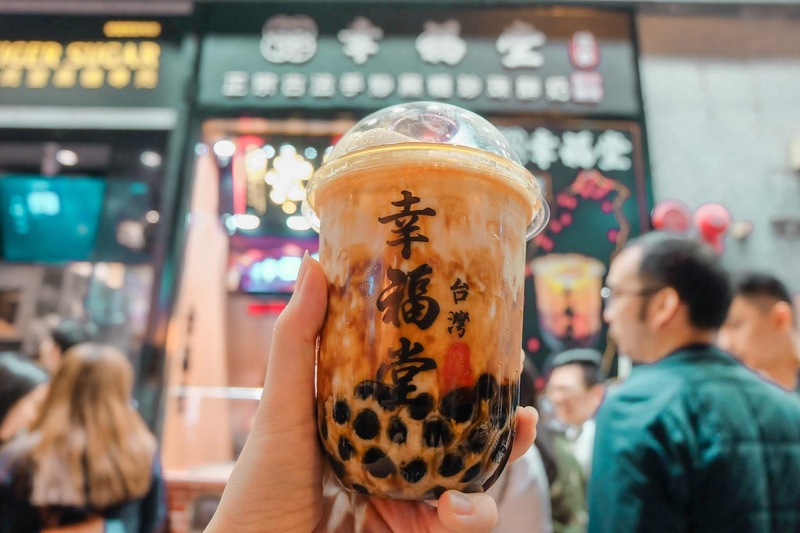 I know this is a HK food guide, but this Taiwanese beverage is worth the hype! We ordered the signature pick on the menu- Brown Sugar Boba Milk. The pearls were stirred fried with brown sugar, making the pearls so fun to eat! 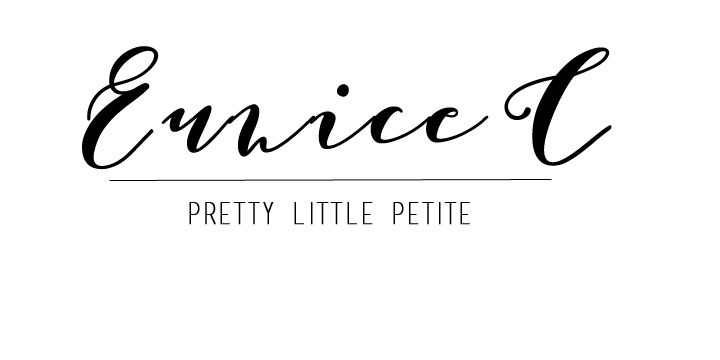 For someone who does not fancy pearls, I love this! 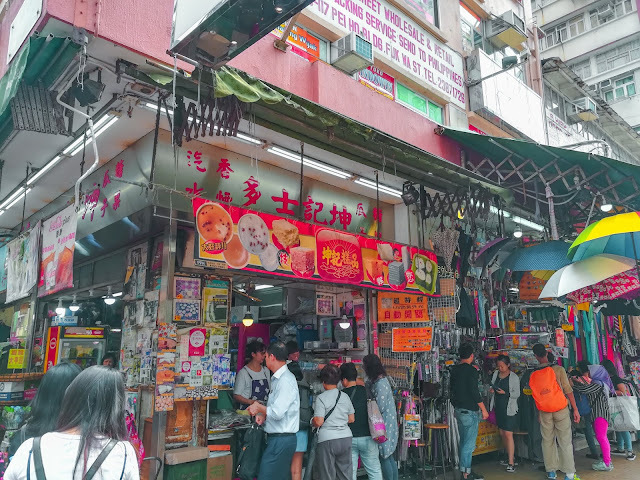 Address: 36, Jardine’s Bazaar, Causeway Bay Hong Kong. Kam Wah Café is well-known for its bo lo bao 菠蘿包, a soft fluffy bun with crisscrossed patterns all over the crust served with a slice of butter. Unfortunately, it was sold out! It is just bad timing as we planned to visit Mongkok in the evening. It is advisable to come in the morning, as pineapple bun is literally selling like hot cakes here. 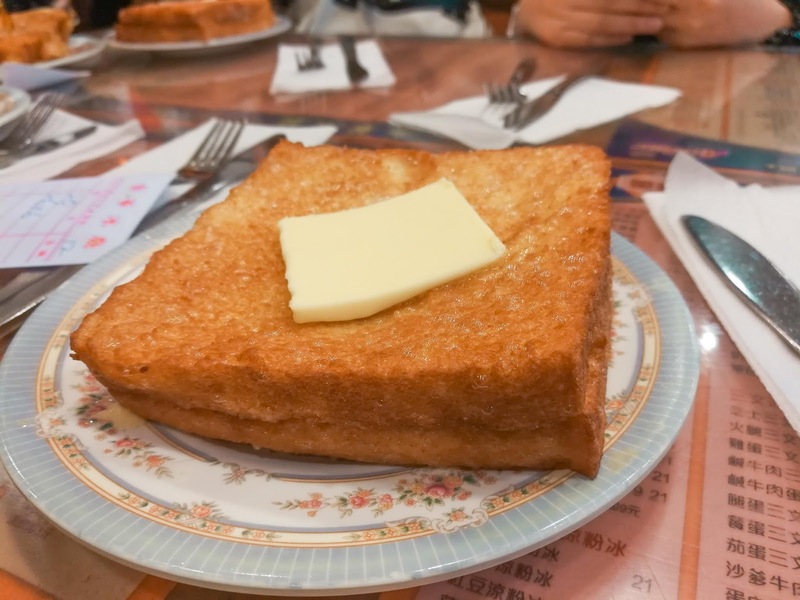 So, we settled for Hong Kong styled French toast (sai do si西多士) instead. Literally translated to Western toast from Cantonese, this is a famous dish in HK cha chaan tengs. Apparently, the French toast here is award winning and I guess that’s a consolation for us. The French toast had a hint of peanut butter spread and cheese inside, served with a chunk of butter on top and some honey. You can opt to have it without the cheese. The French toast was served piping hot, fresh from the kitchen. The taste was great as I like the appropriate amount of peanut butter but I wished they would give us more cheese. I have never tried Tim Ho Wan in Malaysia before they ceased operation last year. So, I came Hong Kong where dim sum is originated to try this ‘world’s cheapest Michelin-starred restaurant’. The restaurant was packed with patrons, indulging their yum cha session with friends and family. We ordered the signature dishes which were displayed in the menu- Baked Bun with BBQ Pork (baked char siew bao), Vermicelli Roll Stuffed with Pig’s liver (Cheung fun), Steamed Egg Cake (ma lai ko), Pan fried Turnip Cake, dumplings, and Tonic Medlar & Petal cake ( kwai fa ko). 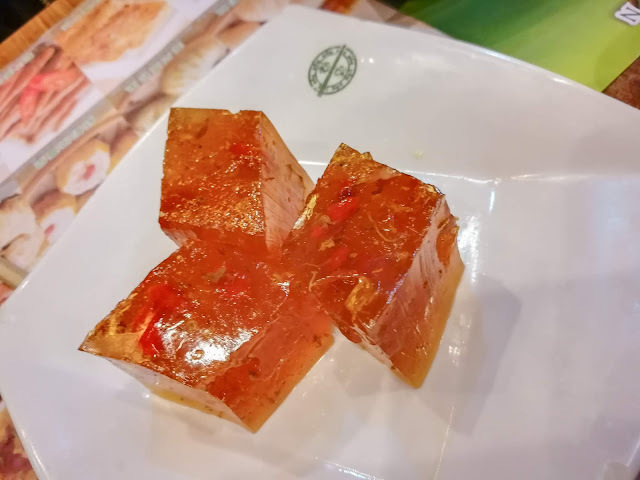 Tonic Medlar & Petal cake ( kwai fa ko). and crispy and the sweet sauce of BBQ pork oozed out when taking the first bite. Unlike xiu bao in Malaysia, it had a thinner and crispier crust. 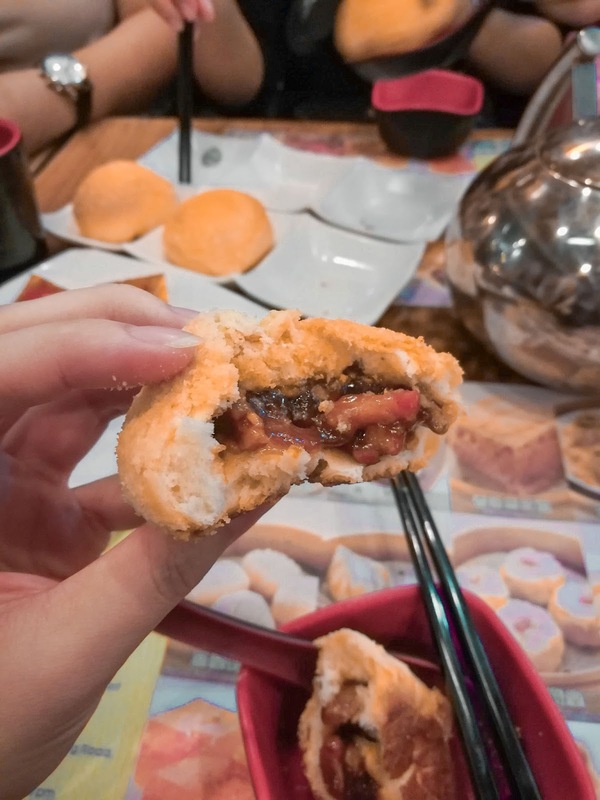 Personally, I did not fancy char siew bao in Malaysia. After eating this, I have changed my mind about char siew baos! 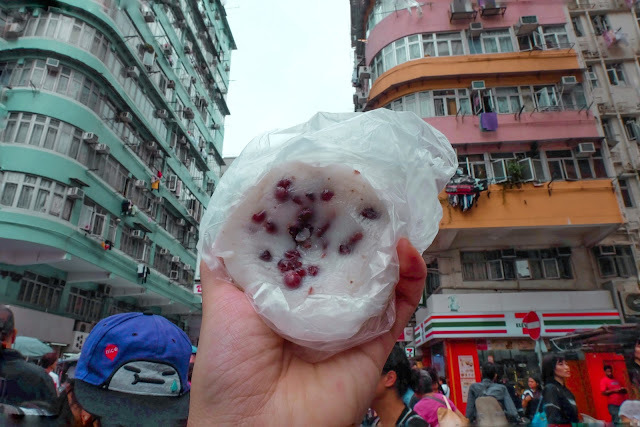 The Steamed Egg Cake was light and airy and the kwai fa ko literally melted in my mouth upon eating. 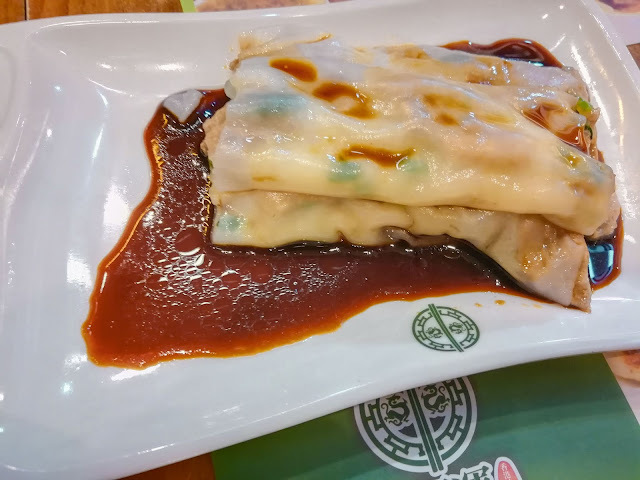 The Cheung fun and dumplings were ordinary. I dare to say, dim sum in Ipoh has comparable standard. 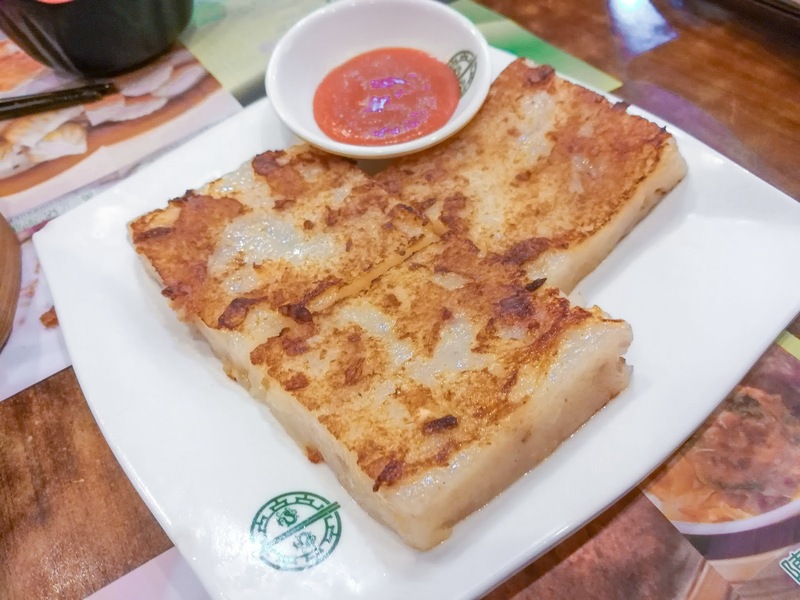 The turnip cake was quite a disappointment as it was quite plain and they weren’t generous with the turnips. 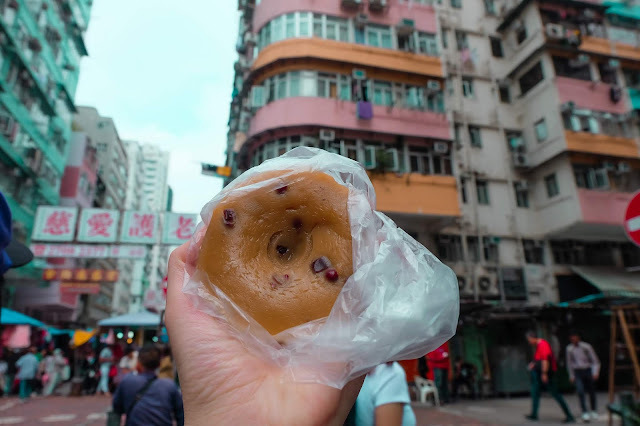 My favourite street snack in Hong Kong! 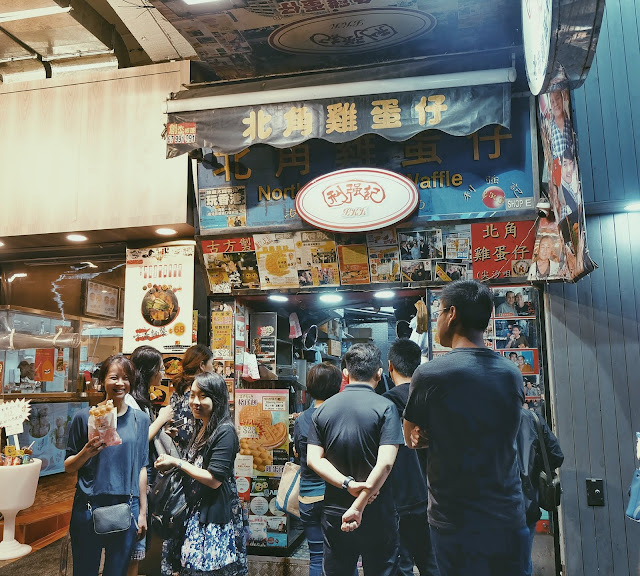 LKK is one of the top egg waffles joints in HK that has many bustling patrons queuing up patiently for this delicious treat. 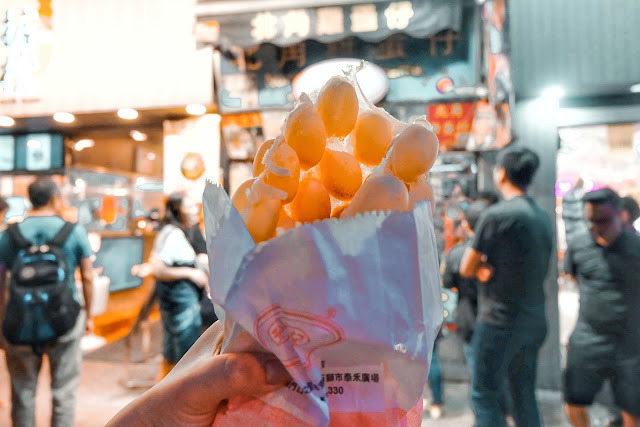 The only egg puffs I have tried in my entire life were the ones from Eggu and they tasted nothing like this! The egg waffles were served hot and fresh from the pan. The batter had a great proportion of ingredients, making the texture of the egg waffles so crispy, thin, and soft, and bursting with egg flavor. It was really fun to snack on because each egg puff was so thin and crispy, which made it very easy to munch on. I actually could not decide whether I prefer Kung Wo Dou Bun Chong’s tau fu fa over Ipoh’s Funny Mountain. 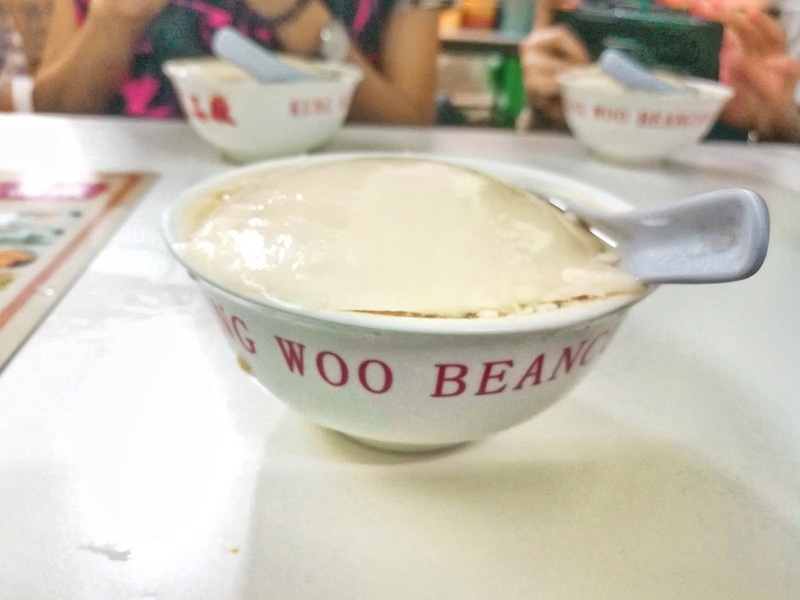 But I love how “beany” Kung Wo’s tau fu fa tasted like. It felt more authentic, whereas Ipoh’s funny mountain was sweeter. Kung Wo allowed you to add brown sugar according to your personal sweetness level of choice. Ipoh’s funny mountain scored a point in terms of smoothness. 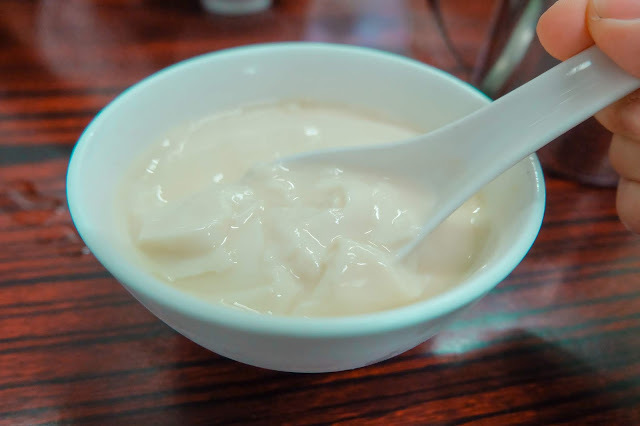 Kung Wo’s tofu pudding was served in a bowl, brimming to the edge. I wish Funny Mountain can be that generous as well. 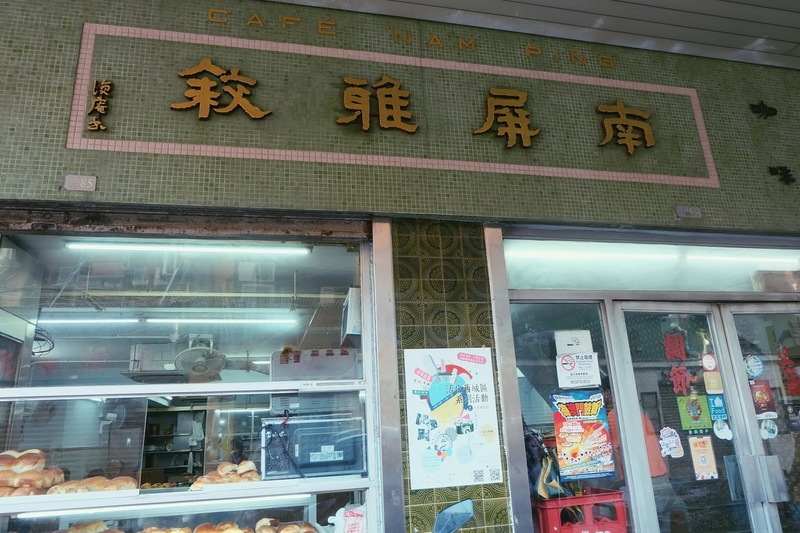 Kung Wo also sells other bean products such as soy milk and fried tofu with fish paste. In my opinion, this cha chaan teng served better food compared to the overrated Australian Dairy Co & Yee Shun Milk Company. Their signature dish is crispy bun with sweet condensed milk. 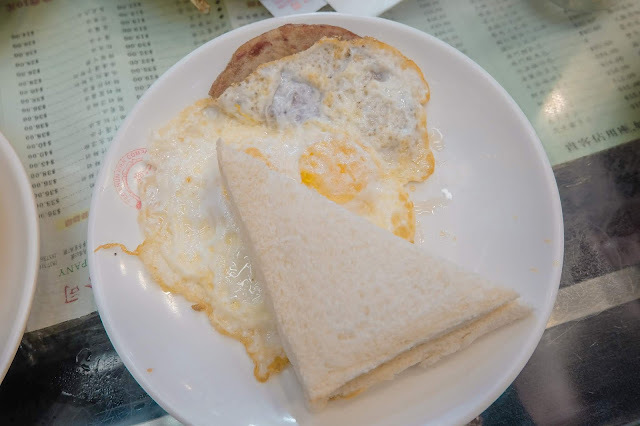 Tsui Wah offers 3 different breakfast sets. 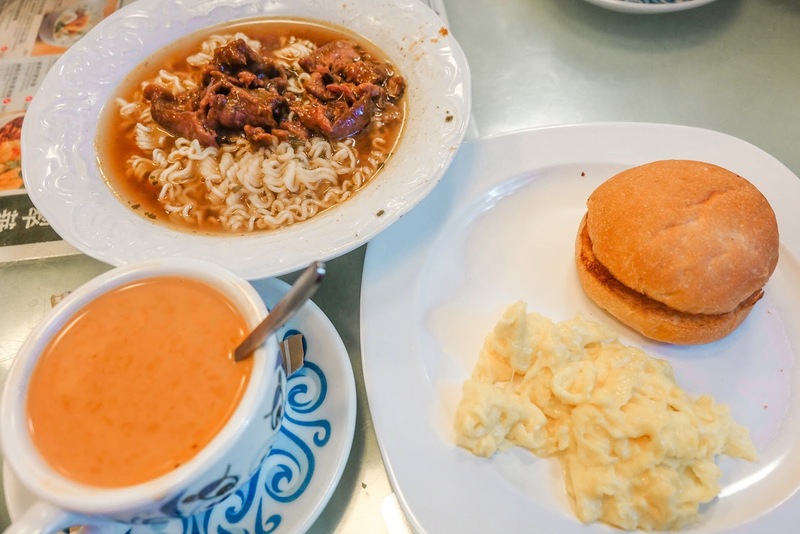 I chose set B: Satay Beef with Instant Noodles in Soup served with scrambled egg and buttered crispy bun, served with tea. This breakfast set hands down, is the best! I did not expect satay beef in instant noodles could be so tasty. I love how rich the broth was, ignoring the fact that the flavor came from MSG, unlike Australian Dairy Co that served rather bland soup. The scrambled eggs were normal, but the milk tea was the bomb! The best milk tea I have ever tasted. 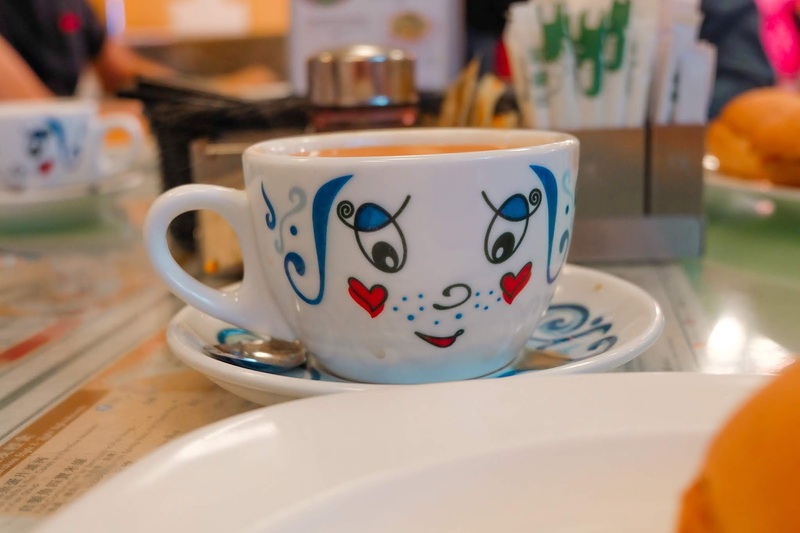 If there is a battle between milk teas in HK, Tsui Wah’s absolutely rich and silky milk tea is definitely the winner. The crispy bun was not as crispy as I imagined. I wish it could live up to its name. The food was great here, but the service was horrible. The waitress was rude to us, probably because my friends spoke in Mandarin instead of their national language. 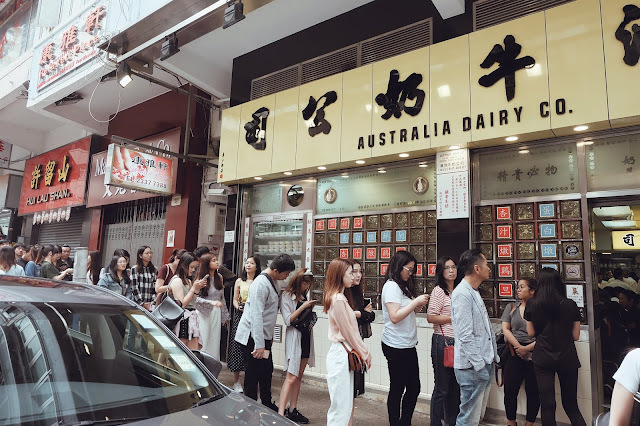 I had a difficult time ranking Yee Shun & Australian Dairy Co for the list of my favourite restaurants in HK. Both offer similar breakfast sets. 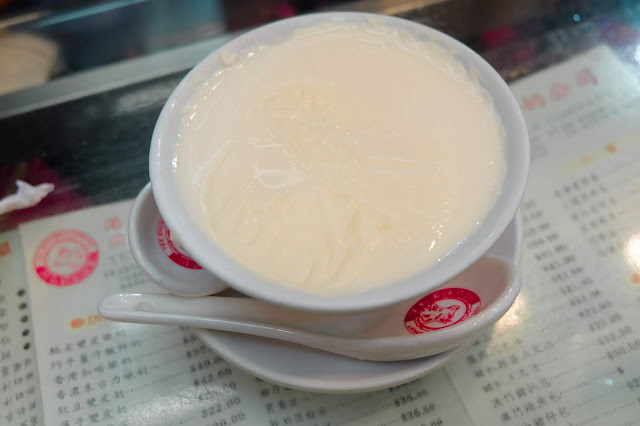 Yee Shun has a signature dish called the shuang pi nai (双皮奶) or directly translated as “steamed milk in two films”. There was a thin layer covering the soft milk custard. This delicacy had a perfect sweetness level and it is a must-have dish for a hot sunny day. 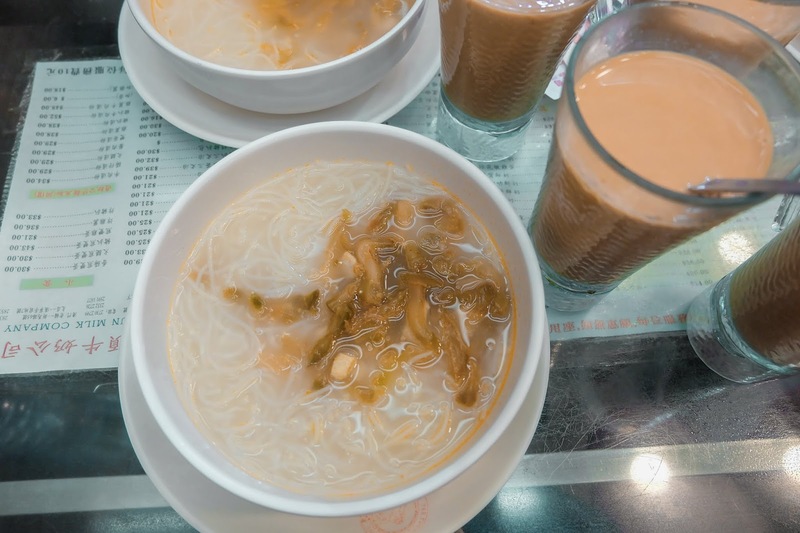 The breakfast set consists of vermicelli soup topped with preserved vegetables, fried egg with buttered bread, and milk tea. The breakfast set was ordinary, but I will definitely go for the dessert if I ever go to Hong Kong again. Another reason why I prefer Yee Shun over ADC is because Yee Shun is not crowded with people. I have heard many stories about this legendary breakfast spot that has a reputation of providing the rudest service to patrons. There was a long queue outside the restaurant. We waited for about 10-15 minutes before getting seated. We were expecting a horrible treatment, bracing ourselves for all the nasty shouting and scolding to be hurled at us. To our surprise, we had a very warm and nice treatment from the waiter who was attending us. Customer service aside. 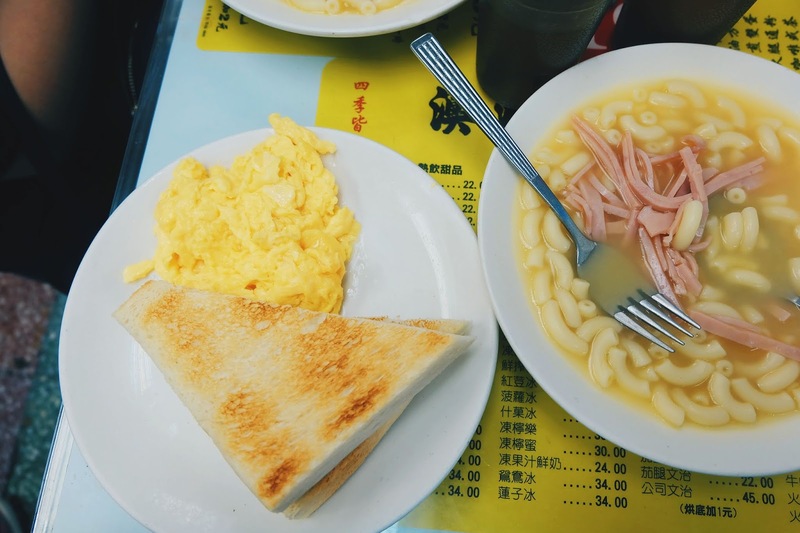 Each of us ordered a set of famous scrambled eggs with buttered toast and macaroni and ham in soup, and coffee or milk tea. The scrambled eggs are the best I have tasted! It was so soft, fluffy, and creamy, probably it had a great amount of dairy. The best-est. Even the superlative isn’t enough to describe how amazing this is. However, the macaroni in soup was a disappointment. It was rather bland and close to being tasteless. We also ordered the signature dessert which is the steamed milk in egg white and almond flavor. The steamed milk had a smooth and soft texture. Rich in milky taste with a tad bit of sweetness, this is probably a cool alternative for someone who doesn’t drink milk. Also another Michelin-starred restaurant. Roast goose is a popular dish in HK and Yat Lok is known to be one of the best. I ordered Roast goose with noodles instead of rice as I did not felt like eating rice that day. Once the food was served, I felt a pang of regret. That’s because the noodles came in soup form and diluted the taste of the roast goose. The roast goose kind of lose the crispiness after soaking in the soup. The soup was very salty but the roast goose was still rich in flavor. However, the meat was not tender at all even though the skin was a little crispy after dipping in the soup. Prior visiting, I did not know this place is notorious for horrible service. Brace yourself for the rude and harsh treatment. We planned to visit the main branch in Central, but we did not make it. So, we went to the branch at the Star Ferry pier TST at our convenience. Tai Cheong egg tarts did not leave a lasting impression on me. It was pretty normal to me. I remember the filling had a strong egg flavor. The pastry was crispy but it was a little dry as I almost choked on it. Probably I will like it with a beverage, like milk tea. Put Chai Ko is also another famous snack that I always heard in those old-schooled TVB dramas, where the mother would always buy these snacks for her children. I was curious about how it tastes like and Kwan Kee Store is famous for it. We bought two types- Original flavor and Brown Sugar. To be honest, I did not like it. It was dry and sticky and tasted quite bland. I enjoy the Malaysian version of put chai ko, also known as woon chai ko because it was served with savoury toppings such as chilli flakes, fried minced prawns, and fried shallots and sweet sauce or chili sauce! Dubbed as the ‘best wonton noodles’ in Hong Kong and also a Michelin-starred restaurant, I beg to differ. 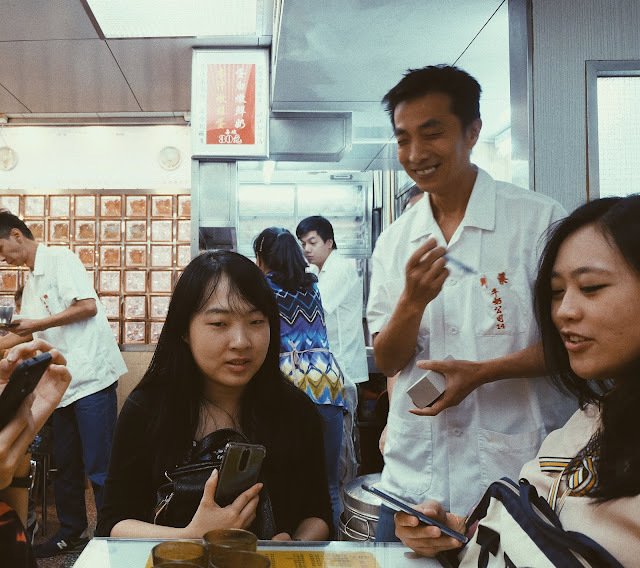 Mak’s noodles go a long way back in the ancient history, passing three generations of a family dynasty. We ordered wonton noodles and dumplings- dry and soup. It was literally and absolutely the saltiest food I have ever tasted in my life. My BP went through the roof when I took the first bite. Seriously, how does one consume such insanely substantial amount of salt? I wonder if the chef accidentally dropped the whole salt shaker into the pot of soup. He should really learn Salt bae’s style of sprinkling. 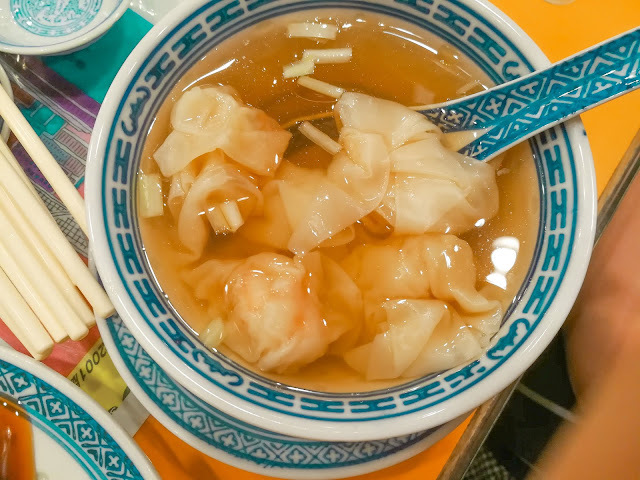 Regardless of the intense saltiness, the HK styled wonton noodles are thinner and fun to eat. Each dumpling contained a generous piece of prawn. 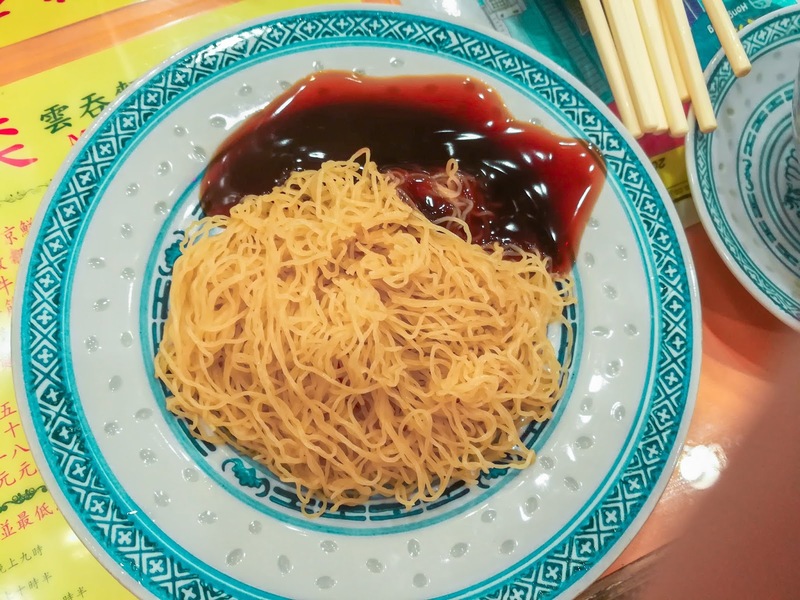 We were only in Macau for one day and this is what we managed to eat! The best Portuguese egg tarts I have eaten! 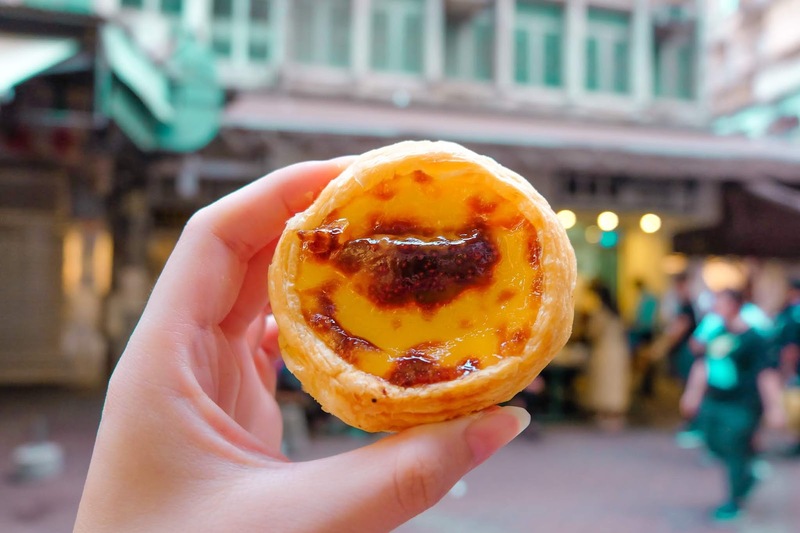 I prefer Portuguese egg tarts over the HK ones and I think this is the closest I can get to the original egg tarts in Portugal. It was very crispy and the egg custard was very creamy and eggy. I did not try Lord Stow’s egg tarts, so I could not make a comparison. There was a long line outside Margaret’s café, so I guessing that it should be good. Nam Peng is the oldest café in Macau where you can get an authentic old schooled cha chaan teng experience. This café was packed with patrons, mostly local, even when it was past lunchtime. We ordered the star of the café- Nam Peng sandwich. This is a very wholesome sandwich! 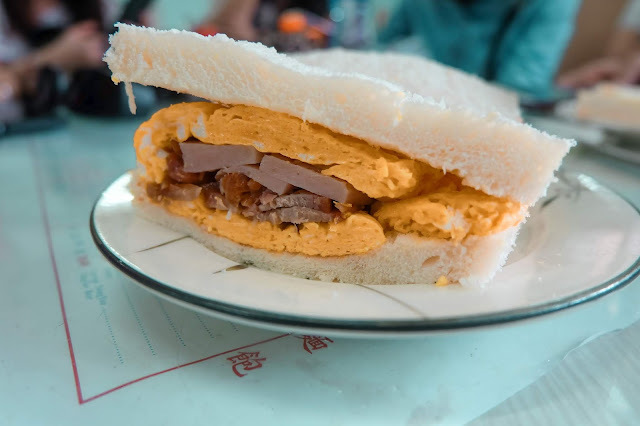 There were pieces of barbecued pork and ham slices stuffed in between scrambled eggs inside the sandwich. I like how they arranged the ingredients in the sandwich, by placing the most flavourful item in the core. This is truly a hidden gem for dessert in Macau. This quaint shop is also very old-school and only sells tofu desserts. Tau fufa is what we came for after a scrumptious meal at Nam Peng. You can opt to choose either hot or cold version. The tau fu fa was served with sugar syrup. The smooth taufufa slithered down my throat with much satisfaction. 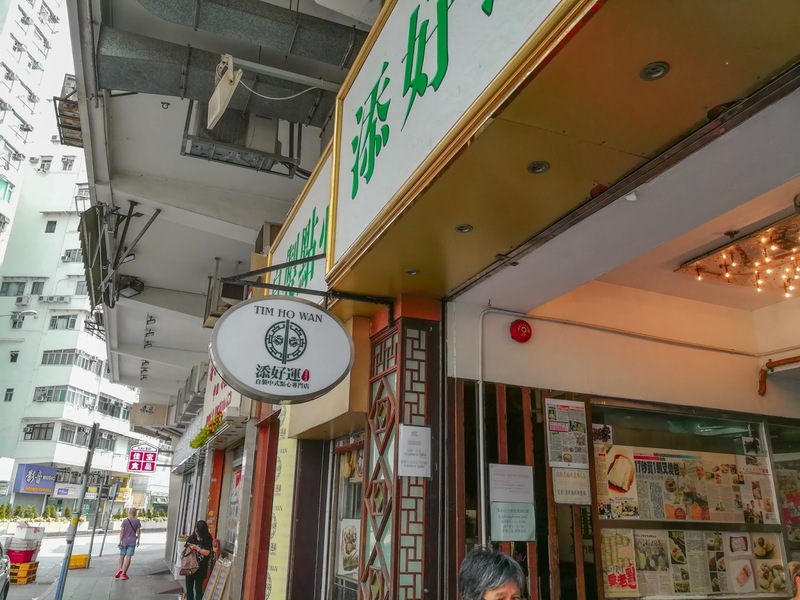 It was unfortunate as we did not get to try pork chop buns from the famous outlets such as Sei Kee or Tai Lei Loi Kei because they were closed. 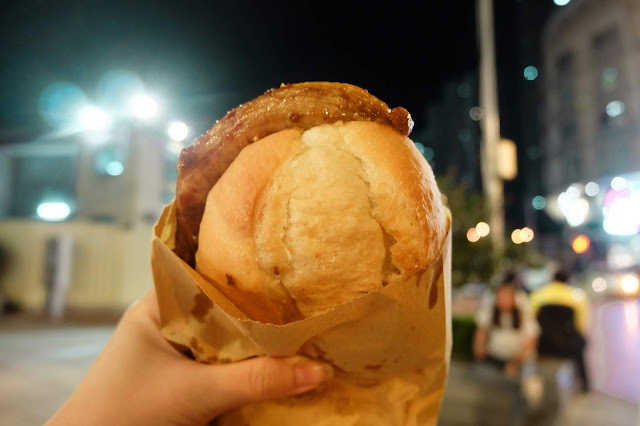 Instead, we tried the pork chop bun from another shop. We could not remember the name of the shop. But it tasted just as good for me. The pork was soft and succulent. 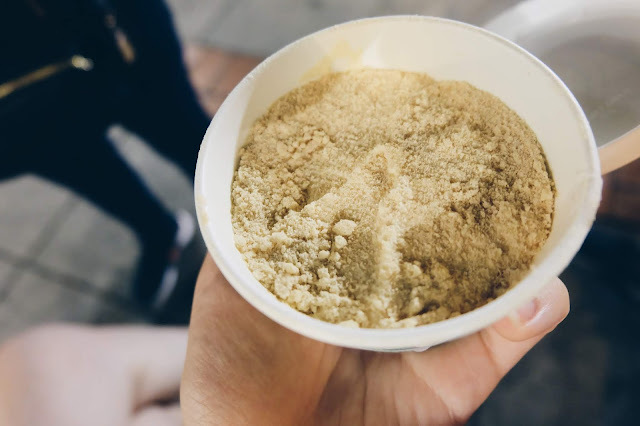 Sawdust pudding or serradura is Macau’s local dessert. Mok Yi Kei is actually famous for the durian ice cream, and durians are found abundantly in our country, and also, the ice cream is sold at an exorbitant price. Thus, we decided to get the sawdust pudding. The sawdust pudding was basically whipped cream sprinkled with crumbled Marie biscuit. It tasted pretty ordinary and I reckoned it would taste better with ice cream and Marie biscuit, which I can easily prepare it at home. Was it worth the hype? No. That is what we ate for five days and four nights! Please forgive me for unable to give complete information about the price and address. We got carried away by the food! Disclaimer: The food reviews are solely based on the author's unique taste buds and individual preferences. 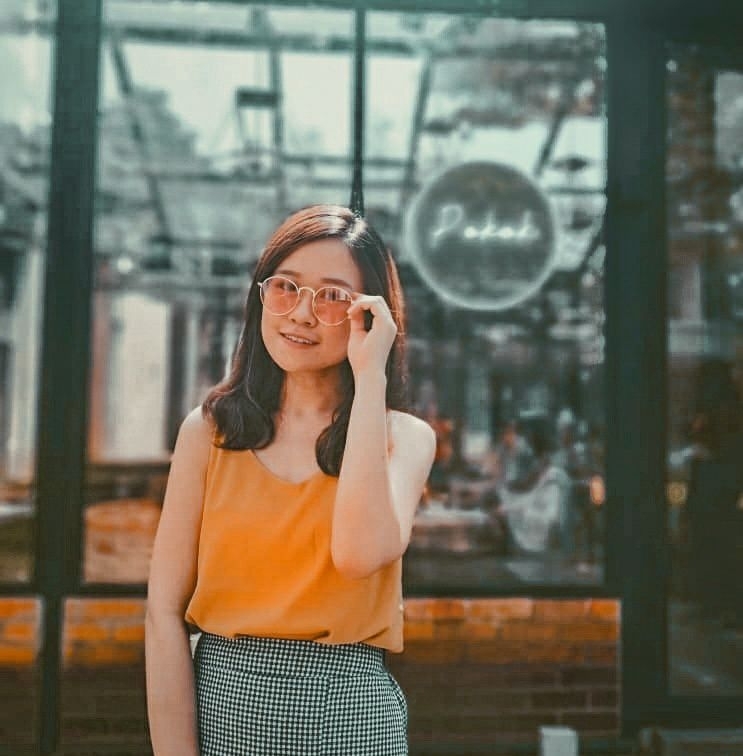 This article did not intend to discredit anyone and it should only be used as a reference for food hunting only, and not as a standard guideline.